Efficiently and safely recharge all of your Goal Zero Solar Generators! Perfect for recharging via Car, Truck, Camper, RV, or any female cigarette outlet. • Now you can Recharge your Goal Zero Yeti Solar Generators using a 12V DC Power Source! • Compatible with All Goal Zero Sealed Lead Acid and Lithium Yeti Generators! • Easily recharge any of your Goal Zero Sherpa Power Banks! For use with the following products: Sherpa 100 AC Power Bank. Goal Zero Yeti 1250. Goal Zero Yeti 400 Lithium. Goal Zero Yeti 1000 Lithium. Goal Zero Yeti 1400 Lithium. Goal Zero Yeti 3000 Lithium. Sleek and powerful, the Sherpa 100AC is your go-to source for versatile power while on the move. Airline approved and travel ready, the 94.72Wh power bank is equipped with innovative features like wireless charging, high-speed Power Delivery, and a variety of ports to power phones, tablets, DSLR cameras, and laptops�including power-hungry MacBooks. Power lights, appliances, or tools off-grid, without noise and fumes of gas generators. The Goal Zero Yeti 1250 Powerpack is powerful enough for any job. This Powerpack will give you all the energy you need to power up all your outdoor adventures. What is the output in wattage. 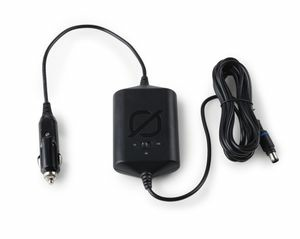 The 12V Car Charger outputs 12V, up to 10A Max. (120 Watts.) Thank you for your inquiry!